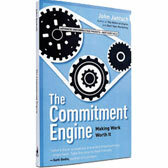 John Jantsch is a marketing consultant, speaker and bestselling author of Duct Tape Marketing, Duct Tape Selling, The Commitment Engine & The Referral Engine. 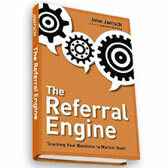 Marketing expert John Jantsch offers practical techniques for harnessing the power of referrals to ensure a steady flow of new customers. Keep those customers happy, and they will refer your business to even more customers. 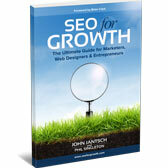 The first part of the book provides an in-depth overview of search engines, algorithms, and design changes, so you can understand the way that Google “thinks.” The book then takes you through the mindset and strategy you need to get SEO right and provides specific techniques that you can use at each stage of a new business. 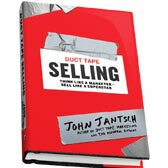 Today’s superstars must attract, teach, convert, serve, and measure while developing a personal brand that stands for trust and expertise.In Duct Tape Selling, Jantsch shows how to tackle a changing sales environment, whether you’re an individual or charged with leading a sales team. If you know your small business needs marketing, but don’t have the time or resources, look no further. 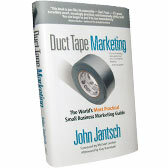 The Duct Tape Marketing blog covers everything from earning referrals to managing time and being more productive.